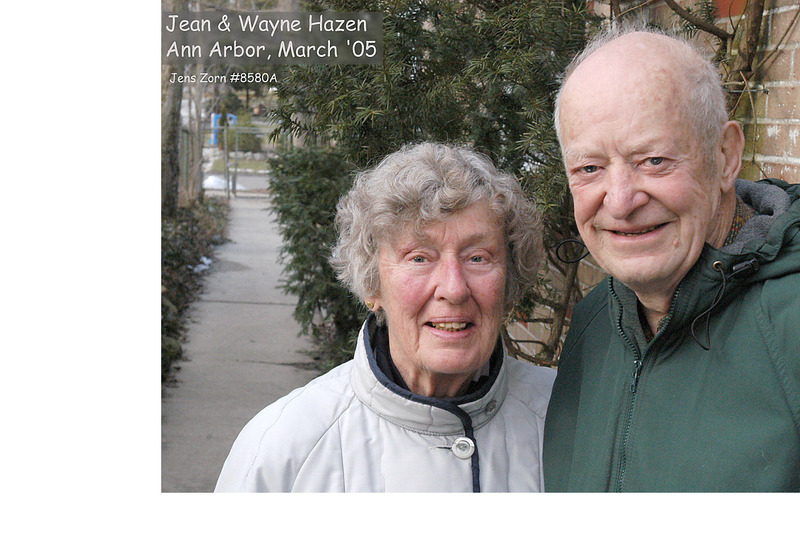 Wayne Hazen was a member of the Michigan Physics faculty as one of the leaders in cosmic ray research from 1947 until he retired in 1984; he continued to be a presence in the department until shortly before his death, at age 94, in 2010. Jean Hazen (1918-2014) was trained in landscape architecture and botany and was later well known for her creative pottery. Remarkably, in earlier years Jean had become a private pilot and then earned her commercial pilot certificate with instrument and multi-engine ratings. While in Leeds, England she completed an RAF aerobatic instructor course, then returned to Ann Arbor and worked as an aerobatic flight instructor. 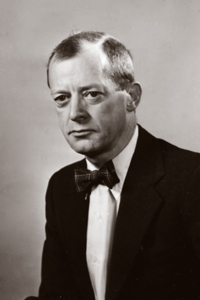 The interview presented here was done in 2007; The transcription by Sara Stoutland has benefited from edits by her husband Eric Hazen, Larry Jones, Jack van der Velde, Tris Coffin, and Mike Sanders. Jens Zorn then did an augmented edit.